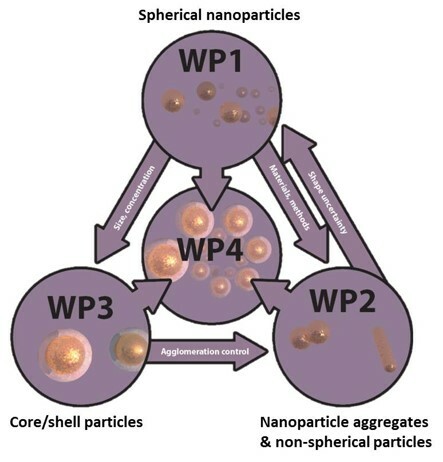 Nanoparticles are increasingly used in innovative products manufactured by advanced industries and provide enhanced, unique properties of great commercial and societal value. The demand for high performance materials places increasingly stringent tolerances on the properties of nanoparticles. 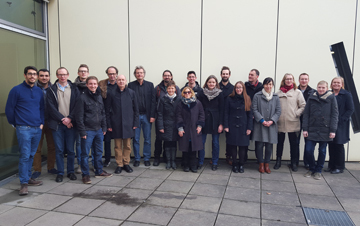 The Innanopart project focuses on the major unmet metrological needs in the production of high quality nanomaterials: measuring the concentration of particles and measuring the surface chemistry. These two measurements are critical to the performance of these novel materials in products and the development of valid measurement approaches, supported by documentary standards, will underpin trade and the supply chain for these novel products. Europe has a significant share of both the ~€3bn global production and use of high performance nanoparticles and nanoparticle-enabled products, which is dominated by polymeric, noble metal and quantum dot nanomaterials. It is therefore essential to establish the key measurement methods to support the manufacture, performance and reliability of such materials. Many types of innovative nanoparticles exist: metals used in catalysis, medical applications and conductive inks; metal oxides employed in fuel cells and ferrofluids and as contrast agents for magnetic resonance imaging; semiconductors used as quantum dots and rods for bioimaging, photonics, display and lighting technologies; and organic particles used for electronic applications, drug delivery vehicles, fluorescent reporters and advanced coatings. Measuring the concentration of nanoparticles in suspension is required to optimise and reproduce formulations and products. In most cases, this number concentration is not known but is calculated upon the basis of assumptions and mass-balance considerations. Currently, there are a number of methods which may be capable of measuring nanoparticle number concentration in colloidal suspension, but no standards or primary methods exist and no certified reference materials are available. The linearity, sample dependence, uncertainty and comparability of methods has not been established, even for ideal materials, and no validated reference materials exist for the calibration of commonly used instruments. The surface chemistry of particles determines their behaviour and performance. Any surface modification, whether intentional or not, needs to be measured to fully understand the particles and their behaviour. Hence, measuring the surface chemistry of particles and quantifying the number of functional groups available for further reaction is fundamental to the successful formulation of products and their reliable operation.